The CEO of The Hoffman Agency was in Hong Kong recently for a storytelling workshop. He explained to PRWeek why he thinks brands and agencies are getting it all wrong. ‘Storytelling’, like many industry buzzwords, is a term that has virtually lost all meaning due to overuse and inappropriate application. Last year, the designer Stefan Sagmeister famously mocked a rollercoaster designer who also described himself as a "storyteller". Building rides and telling stories are quite distinct skills, Sagmeister pointed out. In a similar way, the PR industry appears to have come to the conclusion that everything must be presented as a story. That is the wrong approach, Hoffman argued. He said companies should concentrate on applying certain storytelling techniques to their communications as opposed to trying to actually tell stories. "Storytelling is hard to do but also not appropriate in a lot of cases," he said. "As you develop content, you want to make it as interesting as possible even if there is no arc. That’s common sense." He added that a challenge the PR industry faces in creating content that people truly want to consume is that practitioners typically lack a sense of aesthetics. With an increasing amount of budget being channeled into owned media, what is produced "can’t just be a narrative", he said. "Everything must be in harmony, and that’s not an easy jump for PR people. Focusing on the visual side is not natural [for them]. I think that’s why the PR profession lags behind in this area." 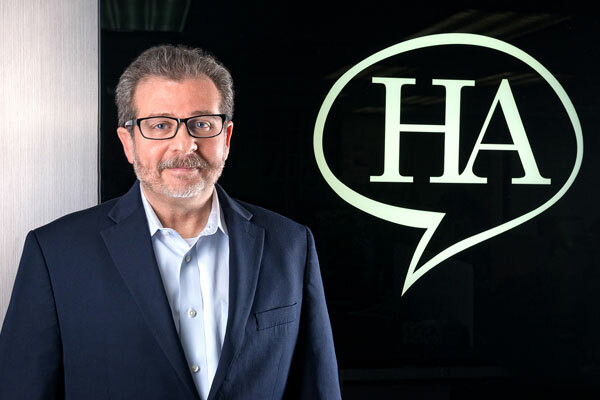 The Hoffman Agency began investing in design talent two years ago, and Hoffman said the results have been positive. He admitted that installing an art department to rival that of a creative agency would be unlikely, but said that building an "ecosystem of design talent will be an ongoing thing". "We have to have the same [visual] acuity as we do with narratives," he said, adding that there is still lots of room for companies to communicate effectively through corporate blogs—if they start thinking more visually. "When you look at how much content is being consumed through mobile devices, the visual aspect is even more important. That is where we’re heading. There’s a lot of opportunity for corporate blogs—most are dreadful." Asked why corporate ‘journalism’ or publishing had so far largely failed to live up to expectations, he suggested that creating good content is not as easy as some imagine. In addition, "it’s tough to scale and very expensive". He said companies have to be realistic in terms of the scale of their content: start small, but make sure it’s interesting. He also noted that media relations still has an important role to play, but that it is often approached wrongly. ‘Storytelling techniques’ can be valuable here, too. When it comes to producing content, telling stories or generally communicating with the outside world, companies tend to underestimate the power of anecdotes, he said. Given that a large percentage of journalism stems from anecdotal stories, a somewhat looser approach to corporate communications could prove more valuable than spending "days and days crafting pristine messages no one cares about". While communications professionals are typically taught to think in terms of "message houses", he said, perhaps they should think in terms of "story houses" instead: anecdotes that "might help them get up the curve" faster. "It’s about aligning to journalists’ needs," he said. "The more an executive stays on message, the less interesting he is to a journalist [and by extension, to a non-journalist consumer]. Why are we consciously making our executives as least interesting as possible? It’s [a case of] wanting to control the story, and I think that’s misplaced." Talking about an overall theme, rather than focusing on the story of a new product, for example, could prove much more valuable in the launch of that product, he suggested. While there are signs that corporations are relinquishing a certain amount of control to consumers, effecting change is not easy. From an agency perspective, Hoffman said it is important to express a point of view firmly and not be afraid to lose business. "If you don’t buy into it, don’t hire us," he said. "At some point, you have to make a leap of faith that in the long haul it’s going to be better for you. You end up with clients you’re more in-sync with."